It's available in Canada. I've seen it at my local TRU. Available here too for €12.99. Is this a global release then? Wonder how many they have made. Is more than one too many? Always. Might make a nice gift to bundle with Birds or something like that but I don´t think it will have any resale value. My niece is a huge giraffe fan so I might have to go out of my way to find one of these little fellas. I have a feeling they'll be paying you to take them. So Kmart will carry them? Mine just showed up. Pretty insipid box design but I have only seen 3 listings on ebay. Could we confirm in which countries this set is currently available and prices? Here it´s a free promo for purchases over 30 euros or you can buy it for 12.99. I've found them at TRU in Canada for $4.99 CAD. I haven't seen it as a promotional product for anything. Are you sure it wasn't this one you saw for 4.99? Nope, it's definitely the set in question (I bought one for myself). I found it a couple of weeks ago, the same day, or day after this thread was started. I can post a picture when I get home from work. 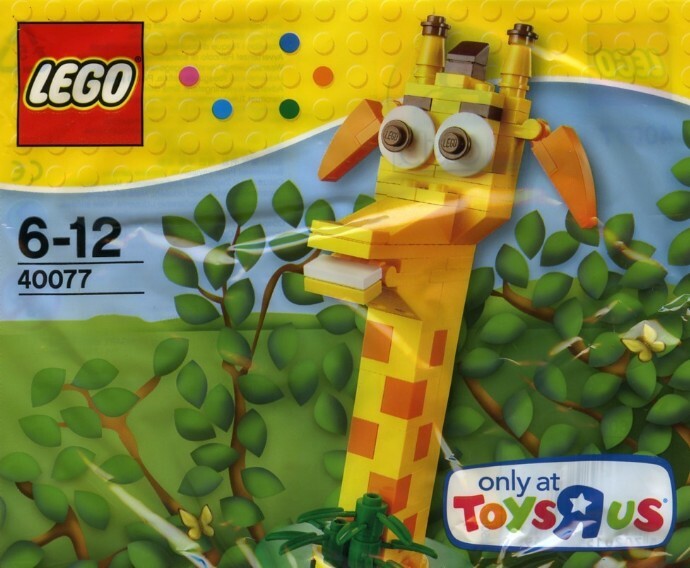 Well, then you got one heck of a deal for the scariest LEGO giraffe I have ever seen. But all the check-out ladies at my local store thought it was adorable, so maybe there's something to it! Could they actually say anything bad about their company mascot without the risk of losing their jobs ??? The ears, the horns, the Mohawk. All cool. The teeth really creep me out. I really think it's supposed to be the inside of the bottom half of his mouth. But it comes out looking like teeth and is creepy. It's tonsils and you can't tell me any different.